Here we are with Nainital Tourism and Travel Guide describing about the Nainital Local Tourist attractions, where to stay in Nainital, hotels and restaurants in Nainital, how to reach Nainital, best time to visit Nainital and tips for tourists going to visit Nainital. Nainital also known as Lake District of India is a popular summer tourist destination in India. Situated at the height of 1,938 meters above the sea level derives its name from the most famous tourist spot Naini Lake in the district. Nainital attracts lots of tourists not only from India but across the world because of its natural beauty and pleasant weather throughout the year. Nainital is one of the most popular tourist destinations in the Uttarakhand, blessed with natural beauty and resources. Nainital called the Lake District of India is the home of four Lakes of Kumaon hills- Naini Lake, Sattal Lake, Bhimtal Lake and the Naukuchiyatal Lake. 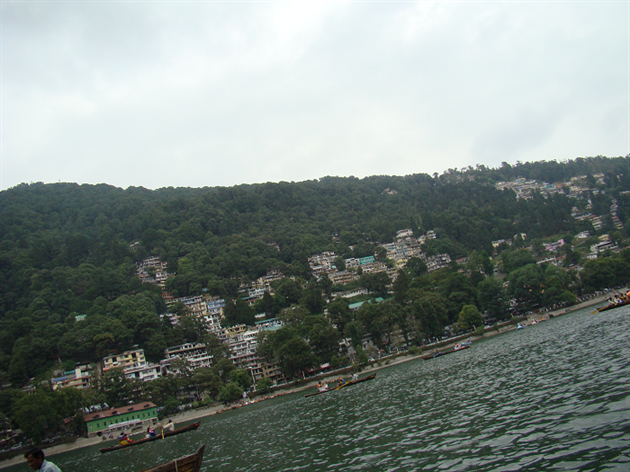 The most famous lake Naini Lake surrounded by Kumaon hills is a most popular tourist spot in Nainital. 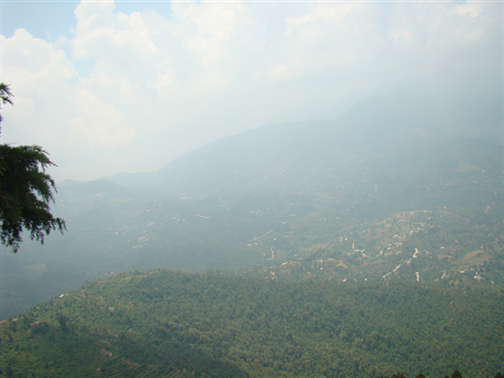 Some of the important places in Nainital district are Haldwani, Kaladhungi, Ramnagar, Bhowali, Ramgarh and Mukteshwar. It is founded by European Businessman, P.Barron and soon it became the summer retreat for the Britishers and second Municipal board of the Northwestern Province. You can visit Nainital throughout the year but the best time to visit Nainital is between the months of March to June. Here we are with the monthly breakup of Nainital climatic conditions so that you can plan your trip accordingly. From March to June (summer season) - This can be considered as the best time to visit Nainital as the weather should be pleasant for a day sightseeing and one can get rid of scorching summer heats of northern plains. 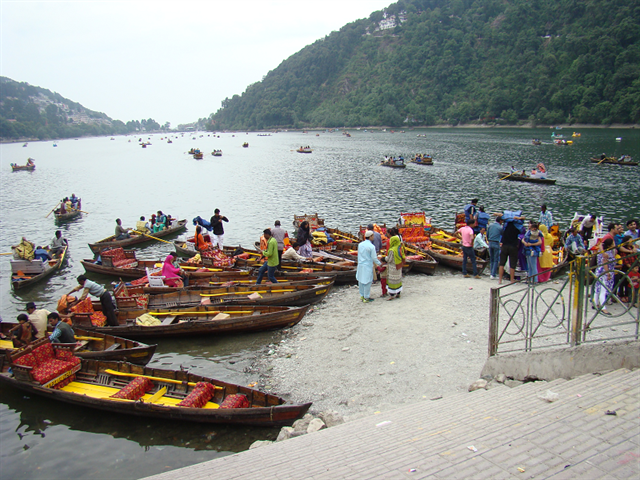 You can enjoy the boat ride in Naini Lake and other activities too as the weather is favorable for such activities. The average temperature between these months varies from 10 to 25 degree Celsius making it an ideal for day activities. From July to September (Monsoon season) - This is the time when Nainital expect heavy rain showers sometimes throughout the day even. These months can be considered as the off-season so you can expect attractive discounts and deals from the hotels during this season making it an excellent destination for budget travelers in monsoon time. October to February (winter season) - October can also be a good time to visit Nainital as it is neither too hot nor too cold during the day. However, a certain chill can be felt in the air at night. November marks the onset of the winter season in Nainital and continues til February. This season has a beautiful misty charm with the coldest days seeing the temperature dipping to zero degree Celsius. If you like snow, then plan a trip between December-end and January. Nainital a beautiful hill station in Uttarakhand has a lot to offer. It is an ultimate destination for families, honeymooners, nature lovers, artists, and adventure lovers. Here we are with the list of tourist places in Nainital which one must visit when in town. Naina Devi Temple is considered to be one of the most sacred and popular Hindu temples in India. 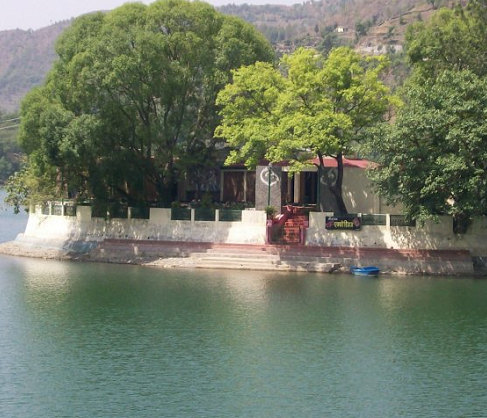 It is situated on the northern bank of the Naini Lake, in Nainital. According to Hindu mythology, the temple denotes the spot where Goddess Sati's eye fell on the earth, when Lord Shiva carried her body parts, out of the flame of the yagna performed by her father - Daksha. Her two eyes on temple roof portray the "Goddess". 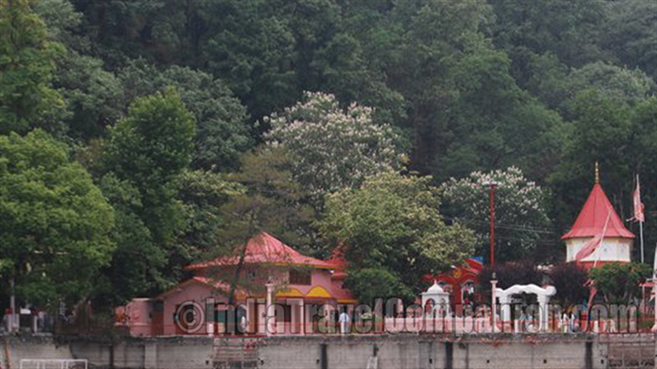 Naina Devi temple is the most popular tourist spot of Nainital. It is said that the present temple at Nainital really replaces the first fifteenth century, which was constructed during Kushan rule and got crushed in an avalanche, in 1880. Naini Lake is a natural freshwater lake situated in the middle of the city. The kidney shaped Naini Lake is 1432 m long and 42 m wide with a maximum depth of 42 m. Tourist can enjoy boating in Naini Lake by watching the beautiful mountains and lush green forest around it. The lake is divided into two parts. North end of the lake is called Mallital and the southern end is known as Tallital. It is surrounded by the shopping complex and Naina Devi Temple is also situated on the northern shore of the Naini Lake. 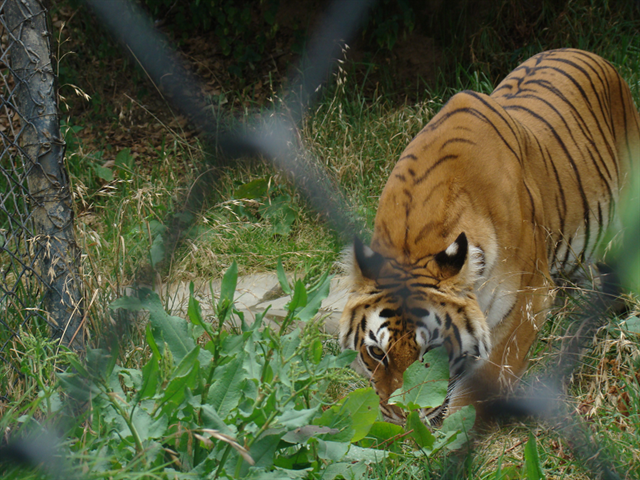 Nainital zoo is established in 1984 and was opened to visitors on 1st June 1995. It is situated around 2 km away from Nainital Bus stand. You can avail the Zoo shuttle service running from Tallilal boat stand and Mallital in front of SBI to reach the zoo. It is a home to many endangered species like Royal Bengal tiger, Tibetan wolf, sambar, leopard cat and Himalayan bear. 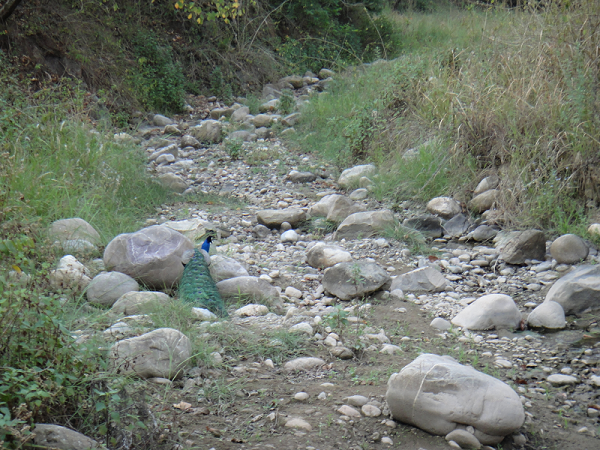 Many high altitude birds like kalij pheasant, Lady Amherst pheasant, Rose-ringed parakeet, the golden pheasant, and red jungle fowl can also be seen there. You can adopt your favorite animal at Nainital Zoo and become a proud guardian of it for just Rs. 2,500/-, adoptee, and their family members get Free entry throughout the year at Nainital Zoo. 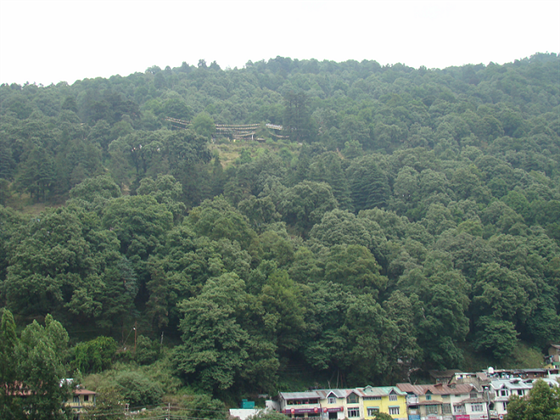 Eco Cave Garden is becoming the popular tourist destination in Nainital these days. Located in Mallital on the Kaladungi road this natural park is maintained and managed by the local administration. Eco cave garden has six small caves with the forms of the tiger, panther, and porcupine and so on. It's really a fun, especially for kids to explore these caves. The musical fountain is a must watch, especially in the evening. It operates through the months of May and June. Tiffin Top also known as Dorothy's seat is a popular picnic spot in Nainital. It is built by Mr. Dorothy in memory of his loving wife Mrs. Kellet Dorothy who was killed in an air crash. As the name suggest Tiffin means "Packed food consumed during the day" so tourists reached Tiffin Top after a short trekking of 4 km with packed lunches for a quiet and peaceful picnic. 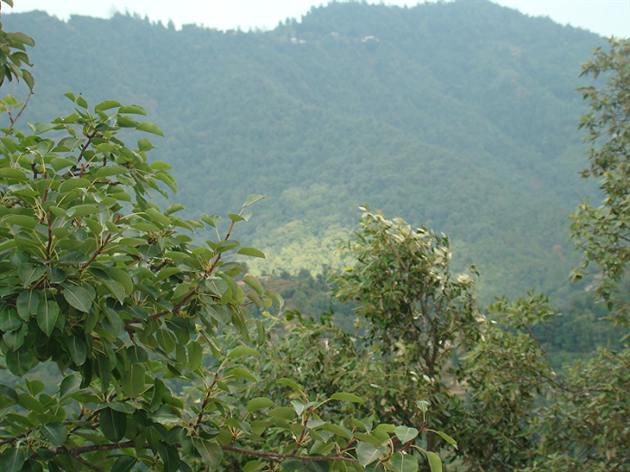 It provides an excellent view of the Himalayas and the Nainital town. Nothing can be much exciting than walking on the Mall Road, Nainital. It runs side by side of the Nainital Lake. The Mall road now named Govind Ballabh Pant Marg. You can buy many beautiful artifacts, jewelry pieces, candles and lot more stuff at very affordable price from the shops located on Mall road but do not forget to use your bargaining skill to get some more discounts. Mall road has a number of Hotels, Travel Agencies, Department Stores, Restaurants and Cafes so you have to do lots more at this beautiful road. During peak season Mall road remain closed for vehicles so that tourists can enjoy hassle free walk on the road. Snow View point is very famous tourist spot of Nainital accessible by aerial ropeway from Mallital. 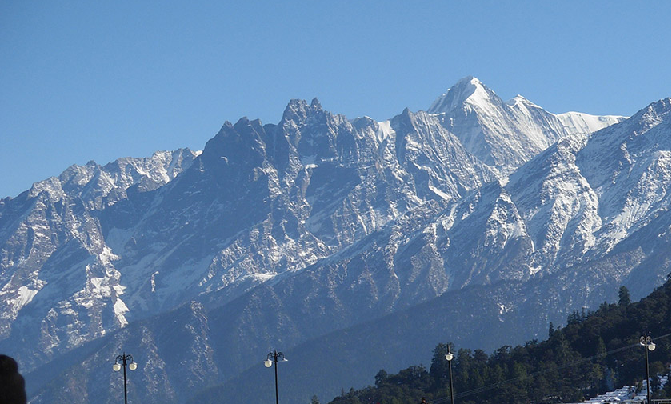 It offers an excellent view of snow covered peaks of Nanda Devi, Trishul and Nanda Kot mountains. You can also trek or take ponies to reach the venue. Snow View point has the facilities of large binocular, snack shop and photographers can be enjoyed by the tourists at very nominal charges to get some closure view of the peaks. Gadhan Kunkyop Ling Monastery near the viewpoint is a must have visited. 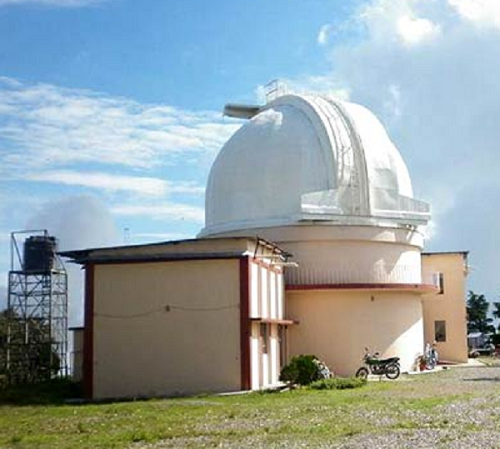 ARIES is an observatory for a place of astronomical studies is just 4.5 km from Nainital situated at an altitude of (1951 meters). Tourist can visit this observatory with prior permission and experience the pleasure of viewing celestial objects through the telescope, provided the nights are clear enough. One can witness the movement of stars, planets and other heavenly bodies too. Hanuman Garhi is the famous temple of Lord Hanumanji located just 3 km from Nainital to the south of Tallital. This temple was built by Neem Karoli Baba, a famous local saint in around 1950. It is situated at a height from where the sun rises and sunsets are artistically visible which cannot be missed by one visit this temple. Shitala Devi temple and Ashram of Lila Sah Bapu is also situated on the same hill. You do not need to climb much to reach Hanuman Garhi as it is easily accessible and does not need a long or steep climb. This was laid on April 27, 1897, and it takes 3 years to complete this building was completed in March 1900. It is spread in the area of 220 acres. State guests & V.I.P. coming to Nainital use Governor House for their stay in Nainital. It consists of beautiful lush green gardens, Golf courses, and Swimming Pool. In 1994, the Governor House Golf course was opened for the public also. Nainital is very well connected with the rest part of the country through different modes of the transport. You can reach Nainital by Air, Train, and road. BY AIR- Nainital does not have direct air connectivity even the nearest airport is also located at a distance of 65 km at Pantnagar but it also remains equipped with private chartered flights. There are no commercial flights operating to and from here. So if you want to visit Nainital by air than nearest airport is at New Delhi approximately 290 kilometers away from Nainital which is well-connected to different cities across the India and world. From there you can hire private taxis or board a train from the Delhi railway station. BY TRAIN- Kathgodam railway station is the nearest railway station to Nainital located at a distance of 34 kilometers is well connected with important cities such as Delhi, Lucknow and Howrah across India. Some of the popular trains are Ranikhet Express, Uttar Sampark, Kranti Express, Dehradun Kathgodam Express and Anvt Kgm Shatabdi Express that ply from Kathgodam station on regular basis. You can either hire a private taxi or bus to reach the city. BY BUS- Nainital is well connected with bus services to all important destinations in North India on regular basis. You can hire air conditioned, non-air-conditioned, sleeper and Volvo buses to reach Nainital depending your budgets and requirements. You can also reach there by hiring private cabs from New Delhi and nearby states as the roads are clean and hassle free. There are lots of places which you can visit during your stay to Nainital. Here we are with a list of some famous Places to visit nearby Nainital. Sat Tal located about 23 km from Nainital at an altitude of 1370 meters is a group of seven freshwater lakes surrounded by lush green thick forests. The first lake is the old Nal-Damyanti Lake, next lake is called Panna or Garuda on moving down the cluster of three lakes named after Ram, Laxman and Sita are located. Purna Tal and Sukha Tal or Khurdariya Tal is the two other lakes at Sattal. This is one of the few unspoiled and unpolluted freshwater lakes in India known as the paradise for migratory birds. Some local people operate small camps and food stalls at Sattal catering to tourists looking for outdoor vacations. One can also visit butterfly museum established by Frederic Smetacek at Jones Estate, which has approximately 2,500 butterfly and moth specimens and more than 1100 species of insect find there. Bhimtal is located 22 km from Nainital at an altitude of 1370 m is a beautiful lake offers the magnificent view to visitors. 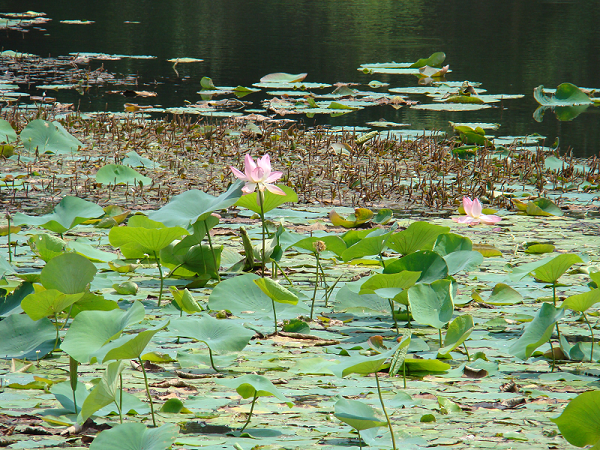 Bhimtal is one of the largest lakes in and around Nainital named after Bhima of Mahabharata. There is an island in the center Bhimtal easily approached by a boat has an Aquarium there open for visitors. You can do boating at the lake or explore the jungle on foot. There is a large Victorian dam and Bhimkeshwar temple at one end of the Bhimtal and terraced flower gardens on either side of this large garden. One can also see Museum of Folk Culture (Lok Sanskriti Sangrahalaya) at Bhimtal showcasing the collections of folk paintings and ancient wooden artifacts. is situated at a distance of just 3 km from Bhimtal and 22 km from Nainital. It is a beautiful lake with nine corners Naukuchiatal is 983 m long, 693 m broad and 40.3 m deep. It is surrounded by dense forested hills on all sides making it an ideal place for nature lovers. An interesting myth is associated with Naukuchiatal that whoever sees all the nine corners of the lake at one shot, attains Nirvana. Angling, Camping, Trekking, Bird Watching and Paragliding are some amazing activities tourists can enjoy at Naukuchiatal the deepest lake of Nainital region. There are lots more other place near such as Corbett National Park (60 km away Nainital), Ranikhet (63 km from Nainital), Mukteshwar (51 Km from Nainital), Almora (63 Km from Nainital), Binsar Wildlife Sanctuary (96 km away from Nainital), Kausani (120 Km from Nainital) and lots more that can be visited too.